Those cork and leather Puma Disc Blazes aren’t the only sneakers that are on their way from that brand under the “Crafted Pack” label. 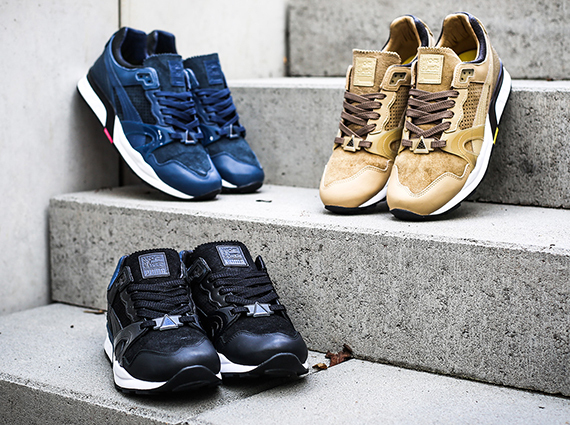 Shown here is a group of PUMA XT2 MMQ releases that get that same title. That doesn’t mean an exact parallel in materials, but more generally a consistent vibe across the groups as far as the refined vibe goes. Like the aforementioned Blazes these won’t go on sale for a while-Overkill for instance is releasing theirs on January 13th, 2014. Take a look at this new set of Pumas after the break and give us your thoughts on them as always down in the comments section.